Beef Pickle is a recipe popular among traditional Christian families in Kerala. 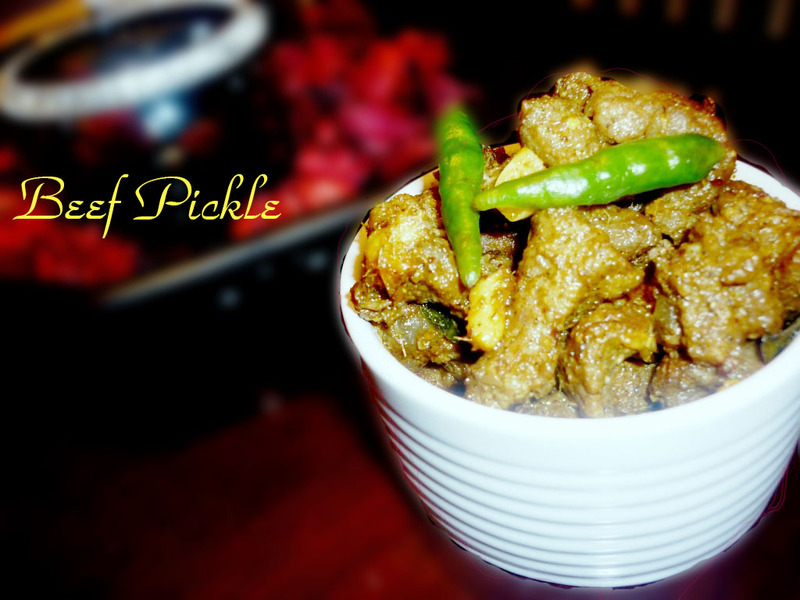 Here I have not followed any particular recipe to make this pickle.Instead,this is a trial to get a spicy,tangy , pickled beef. We need a masala to give the pickle its real taste.for this dry roast fenugreek seeds,mustard seeds and cumin seeds.Now powder them after adding Asafoetida powder. Marinate beef chunks with ginger garlic paste,salt and meat masala.Now add 1/4 glass water and cook until well done. Take a pan and shallow fry the cooked beef . Add some curry leaves while frying. 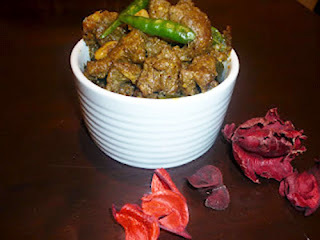 In the same pan,add 1 tbsp gingelly oil.Fry garlic and ginger pieces.Add some curry leaves.Now add 1 tbsp chili powder. Now add the masala that we have prepared in the step1 above. Fry this for a minute.Add Vinegar and 1/4 glass hot water. 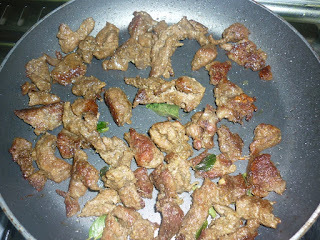 Add in the shallow fried beef and mix well.After 2-3 minutes oil separates from the mix. 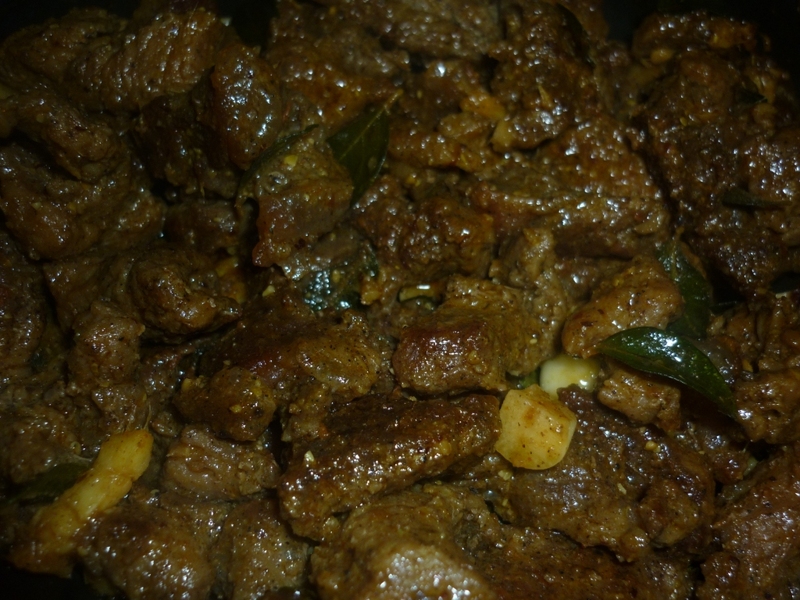 Delicious Beef pickle is ready to serve. Looks very delicious n tempting!! wow..the beef pickle looks absolutely delicious....tempting....i would love to try this out with chicken ! Thanks..I am not sure about chicken,but sure will taste great with eggs (instead of beef) esp; quail eggs.